Most Wednesdays Delindel will come into town where I work and we will have lunch together. Some of our favourite places to visit are Global Sandwhich, Habitual Fix and Eve’s Pantry. All very yummy food and Eve’s Pantry has lovely coffee (since I run on coffee XD). 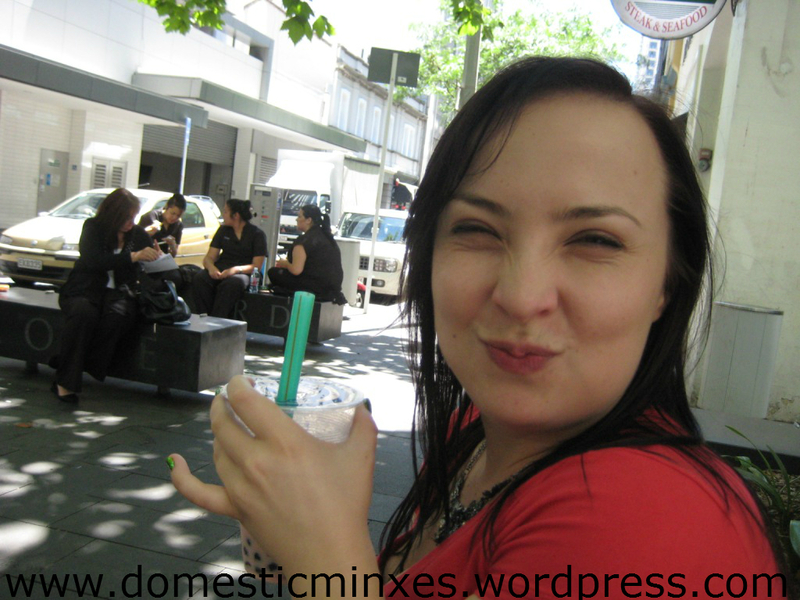 Last week we went to Eve’s Pantry as usual but on our way back we spotted a Bubble Tea store. The store we visited was Chalin Tea, on their blog they seem to have deals and updates about what is happening in their stores. The store also had beauty products, but we didn’t get a chance to look at the,. I have never had bubble tea before so I had no clue what was in it or even how you went about ordering it. I ended up just getting the same order as Del which was Strawberry Milk Tea with Pearls. The very thought of having balls in my milky strawberry tea thingy was very odd and it took me a bit to get used to them zooming up the straw. 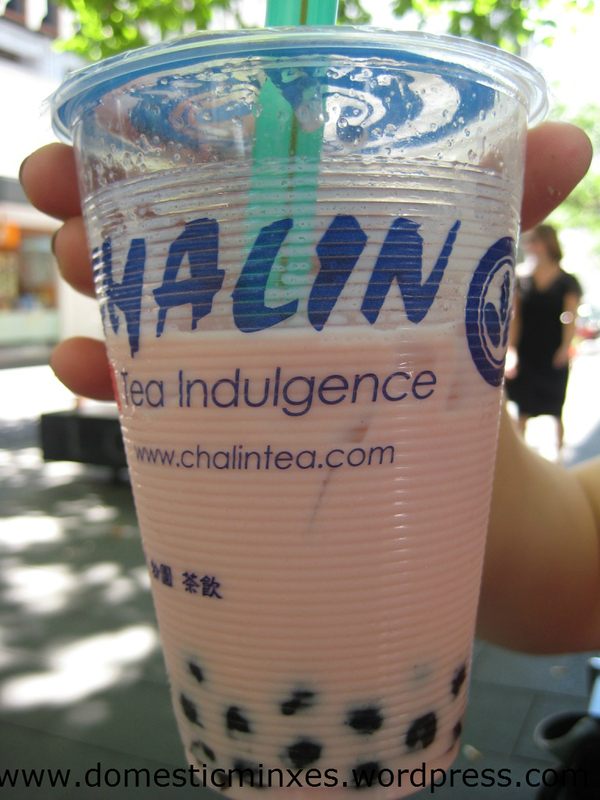 The tea itself was very nice strawberry milk with a nice hint of green tea to it. Very refreshing, but don’t drink one after food and coffee cause your tummy will hate you and you will have to waddle round work afterwards. There are quite a few Bubble Tea shops all over town with so many flavours, I can’t wait to give them a go. P.S. Don’t forget to enter out give away! you will have to take me sometime!